Can't a Rolex wearer enjoy a Seiko?! I take a Seiko on all my vacations and wear at the pool/beach/ or in ports on cruises. I think they are excellent watches for the money. My Rolex comes out of the safe in the eves for dinner/shows, etc. If Seiko fixed their alignment issue on some of their dive watches that would immensely enhance their reputation. I know its a very small thing, but it does not go down with people spending their good money on a product that has quality issues which are apparent on the face (pardon the pun) of the watch. "The chapter ring and index & bezel index and face index not being aligned perfectly." I think twice, well more than twice, $650 is good money for a watch. Put it this way, you wouldn't buy a new car if the panels were out of alignment, you wouldn't buy a new mobile phone if the screen/bezel was out of alignment with the case, so why should Seiko think they are any different? As a Rolex wearer, this is the only thing that I really think Seiko could and should address. 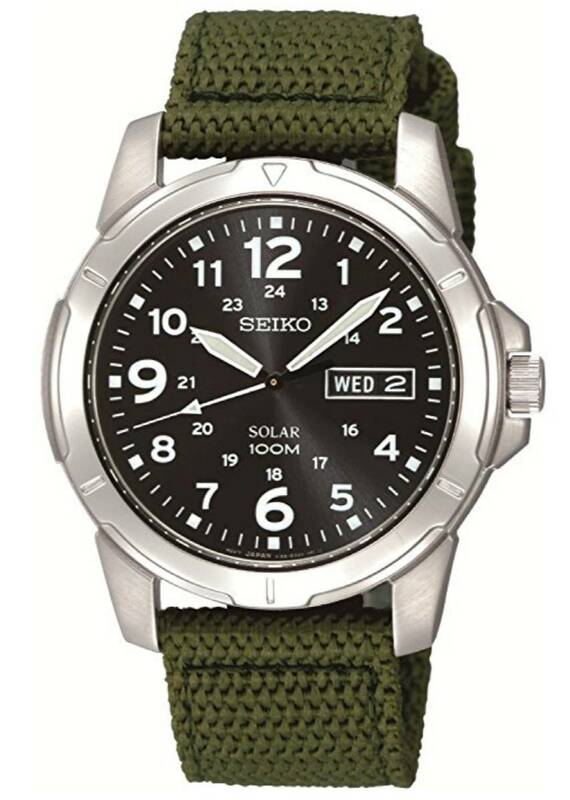 It's not like Seiko get parts supplied from different companies, they are all in house components and should match up perfectly or at least perfectly to the naked eye. I agree there is no excuse. Now on my only one a spb071j1, the bezel is perfect. My wife picked it up in person at an AD north of Toronto. She made sure it did. The AD told her he has had no problems with the Japanese ones at that price point and higher. But it is a big problem on many of the other models. I would like to see it corrected. Just out of pride you would think they would. You want a spot on SEIKO then get the JDMs and GS. Seiko has been farming out some of their parts and component outside of Japan. Well some have said before that there is no discernable difference in quality between "JDM" and "NON-JDM". I guess buying over the counter rather than over the internet is the best way to ensure the watch you buy is to your liking and alignment. I think you're right on that Steve. i love my SKX007 as my daily beater - trying to find something to eventually replace it but finding it rather difficult. Anyone that looks down on Seiko is showing their ignorance or simply proving that their timepiece is a status symbol versus a tool. My latest Seiko purchase was from the owner of a tiny jewelry store on Canal Street in NY. He sold used Rolex as well as several new mid tier brands. I think we pegged each other for WIS soon after I entered the store. So, you'll accept imperfections on $9k Rolex, but not a $650 Seiko? I'm not trying to start an argument, I'm just having a hard time following the logic. I also assume you are referring to Seiko proper and not Grand Seiko. Am I correct? Wow. My first impression of comments. I own a PP, AP, 4 Rolexes,and about 18 other watches, mostly vintage. I also own two Seiko divers, one from the mid 90's, and most recently a limited edition, sold only in Asia. I wear some of them, a few very often. Frankly the vintage going back to 1930 stay off my wrist. My PP, AP and new Seiko are my go-to watches. The new Seiko has a most interesting dial color; I'm guessing aqua marine. As for lining up whatever on the dial, bezel, I've read of a few new Rolex having alignment issues. What the sales lady said is quite true in a general senses but not necessary applicable for most things. In life, we can enjoy different things, regardless of price-tags. I can enjoy my Seikos nearly as much as my more expensive watches because they are such fun watches to wear, and I can wear it worry-free. I can enjoy fine-dinning gourmet cuisine and also enjoy chopping down on cheap fast food like KFC. This... JDM/Japan Made doesn't mean it won't have an issue with the chapter ring.... You really just need to see it in person before picking one out. IMHO, a $1,000 watch (which was a JDM model purchased through a Japanese seller) shouldn't need that sort of "fix" immediately out of the box. It left a bad taste in my mouth, so I ended up selling it. I still have 5 vintage Seikos, an SKX009 (my first mechanical watch purchased in 2005), and my Marinemaster 300 SBDX017. My Rolex AD said they are in talks to become a Seiko AD to fill the "mid-tier" stuff between their Bullova and Rolex stuff. To say I'm excited is an understatement, as I want that SRPC41 as well. Bought my Padi Blue Turtle a few months ago at Macy's as well but in her case she appreciated that I was in her words a "watch guy" and could wear this watch alongside Rolex and others. Love the unique personality of the watch and for the PADI blue, the dial is a killer. I can't imagine a better value out there. you would think but a lot of salespeople have no clue if they also dont also sell Patek. I had a weird experience with an AP diver once at a Rolex AD. I was trying on an explorer II and the sales guy kept referring to me "upgrading" my current watch. I went out for an expensive meal the other week with my brother and his friends. They all wear rolex and my brother has a gold sub. I showed my Seiko SKX 007 on a nato ,nobody said anything but i could read their minds! I did not tell them i had a day date ,but i bet a million dollars i loved my Seiko that i owned for 12 years more then they loved their watches. I love and enjoy my GS as much as all my other watches, if not more. With that said, Seiko makes great watches. The quality of the GS brand is second to none compare to anyone within its price range. I already have a Seiko now and i plan on getting a Skydweller soon. I am pretty sure i will add other brands to my collection. I own two Seiko watches along with Rolex, Tudor, Omega, and Stowa. Receiving a Halios Seaforth later this month. Love them all. My Seiko SKX007 has traveled the world with me and is what I was wearing at the hospital when my daughter was born. If I had to only keep one watch it is the one that would remain. My whole collection is Rolex and Seiko, two being GS. I enjoy them all. I also have a Seiko beater. I wear it whenever I'm working with my hands. Light and super accurate. I've been to Rolex ADs that have never even heard of Grand Seiko.